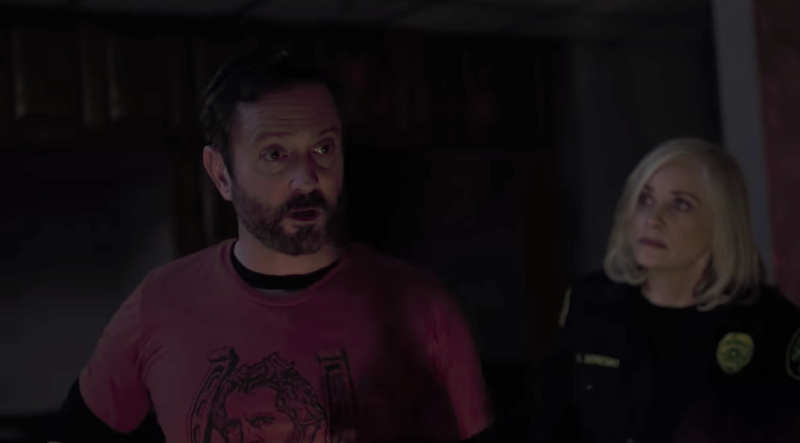 Okay, so, today’s first trailer is, indeed, for the Thomas Lennon-starring Puppet Master: The Littlest Reich, which our own Katie Rife had a chance to check out back in April at the Overlook Horror Festival. Unfortunately, this latest installment in the long-running horror franchise ends up getting a little too enamored of its Nazi villains, filling its middle section with the sorts of “edgy” humor you’re more likely to find on an online image board than an enjoyable piece of horror-satire. Still, it’s not like there’s any other movie where you’re going to get to see somebody from Viva Variety sarcastically quip at blade-equipped puppets, so the trailer might still be worth a peek. Next up, we’ve got our first look at Amazon’s new Maya Rudolph/Fred Armisen project, Forever. At first, it’s all sweetness and goofiness and light, but as the light slowly drains out of Rudolph’s eyes—and knives start getting flashed on-screen!—we have to wonder how grim that title will eventually turn out to be. Forever premieres September 14. Meanwhile, Fox is pushing the next season of its Ryan Murphy emergency procedural 9-1-1, which is wasting no time in getting to the “L.A. gets hit by an earthquake” story we’ve been expecting since day one. It’s just Jennifer Love Hewitt’s bad luck that she’s on-hand to take these particular calls during her first season on the show. Sorry, JLH! Dipping back into schlocky horror, we’ve also got a short but scuzzy trailer for new horror anthology Blood Clots. Slamming seven different horror shorts together, the trailer is distressingly light on actual blood, but we do get a few glimpses of a couple of cool monsters, which might be enough to lure a few die-hards in for the gory fun. Finally—and on an altogether less horrific note—we’ve also got the trailer for Netflix’s upcoming rom-com Nappily Ever After. Based on the book by Trisha R. Thomas, the film stars Sanaa Lathan as a “perfect” career woman whose high-maintenance hair acts as a metaphor for the rigid control she’s forced to exercise over every aspect of her life in order to succeed. Nappily Ever After debuts on Netflix on September 21. Can a video game fan who knows nothing about football learn to love Madden?